Laura is one of the most meticulous and strategic marketers I’ve ever had the pleasure to work with. - Furia Rubel Communications President and CEO, Gina Rubel, Esq. Furia Rubel Communications, Inc., a leading strategic and integrated marketing and public relations agency, announces that Laura Powers has been promoted to chief marketing officer. During her more than 20-year career, Powers has developed incomparable expertise in brand strategy, web design and development, integrated advertising campaigns, digital strategy and social media. The corporate-level marketing strategist has a history of developing award-winning and measurable multi-channel campaigns that deliver positive returns on client investments. Since joining the Furia Rubel team, Powers has crafted the strategy and managed the execution of marketing initiatives for all of the firm’s clients. These integrated campaigns include brand, web, mobile, digital and print advertising, email marketing and collateral materials. Prior to joining Furia Rubel, Powers was the owner and CEO of HG Marketing Group, LLC, an independent woman-owned marketing agency that served as a strategic affiliate to Furia Rubel until their merger in 2010. A graduate of Vermont College of Norwich University (currently Union Institute & University), Powers also attended the Pennsylvania Academy of the Fine Arts. Among her many accomplishments are the prestigious Communicator Award of Excellence from the International Academy of Visual Arts, the Web Marketing Association’s Web Legal Standard of Excellence Award and the Summit Creative Award. Powers also provides dynamic presentations for professional audiences on integrated marketing, social media engagement, best practices for web and digital, corporate identity design and strategic branding. Laura can be contacted at 215-340-0480 or laura(at)furiarubel(dot)com, on LinkedIn at http://www.linkedin.com/in/powerslaura or on Twitter at @LPPowers. 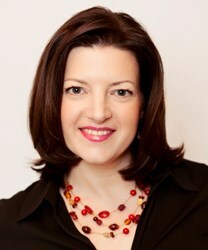 To learn more, visit http://www.furiarubel.com/bios/LauraPowers. Founded in 2002, Furia Rubel Communications, Inc. is an integrated and strategic marketing and public relations agency. The women-owned certified agency provides strategic planning, marketing, public relations, graphic design, website design, social media and media relations to a wide array of professional clients. Furia Rubel represents law firms, technology companies, educational and religious organizations, accounting and tax providers, nonprofits, townships and municipalities, pharmaceutical, manufacturing and elder care companies. For more information, visit http://www.furiarubel.com, follow on Twitter at @FuriaRubel or subscribe to the ThePRLawyer.com blog.